Until now, Japanese phone carrier Docomo has most often been widely credited as the originator of what we know as emoji today. It turns out, that might not be the case, and today we are correcting the record. 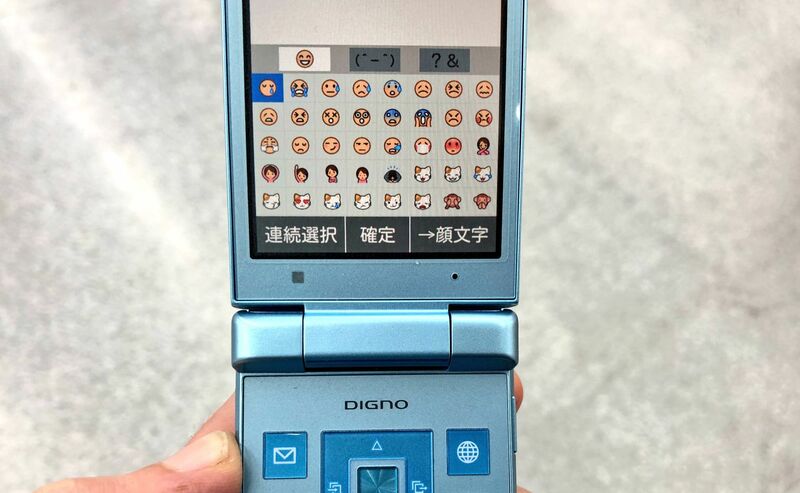 SoftBank, the carrier that partnered with Apple to bring the iPhone to Japan in 2008, released a phone with support for 90 distinct emoji characters in 1997. For the first time, these are now available on Emojipedia. 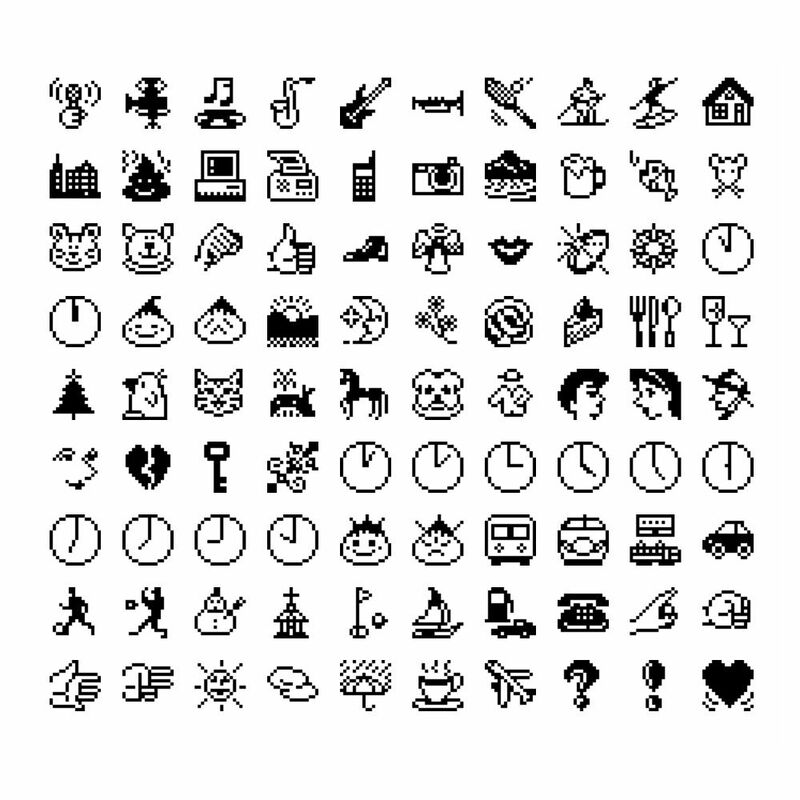 The 90 emojis from SoftBank in 1997 predate the set of 176 emojis released by Docomo in 1999, which until now have most commonly been cited (including by Emojipedia) as being the first. 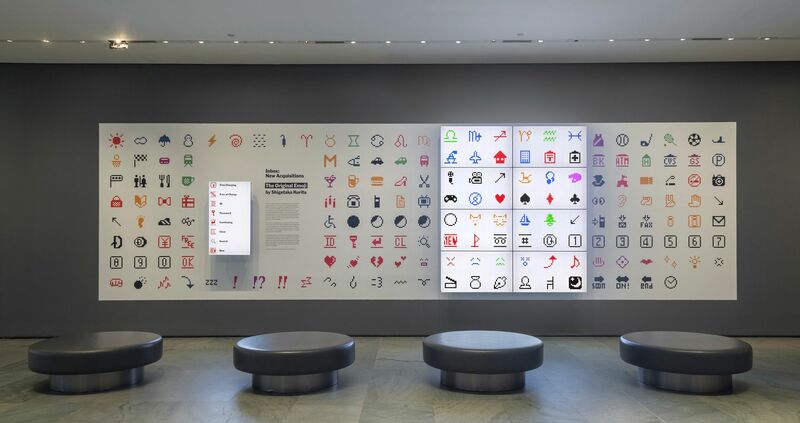 Above: Shigetaka Kurita's emoji set (shown here at the Museum of Modern Art in New York) from 1999 may not have been the first. Photo: John Wronn at MoMA. Not only was the 1997 SoftBank emoji set released earlier than the first known date of the Docomo emoji set (in "1998 or 1999"), one of the most iconic emoji characters now encoded as 💩 U+1F4A9 PILE OF POO in the Unicode Standard, originated in this release. Unless or until we find evidence that Docomo had an emoji set available prior to this release, we hereby issue a correction that the original emoji set is from SoftBank in Japan in 1997, with designer/s unknown. Above: Until recently, Docomo was considered to have the first emoji set in 1999, when it might have been SoftBank in 1997. Now shown on Emojipedia. Emojipedia was founded in 2013 and originally listed only current-day Apple emoji designs. 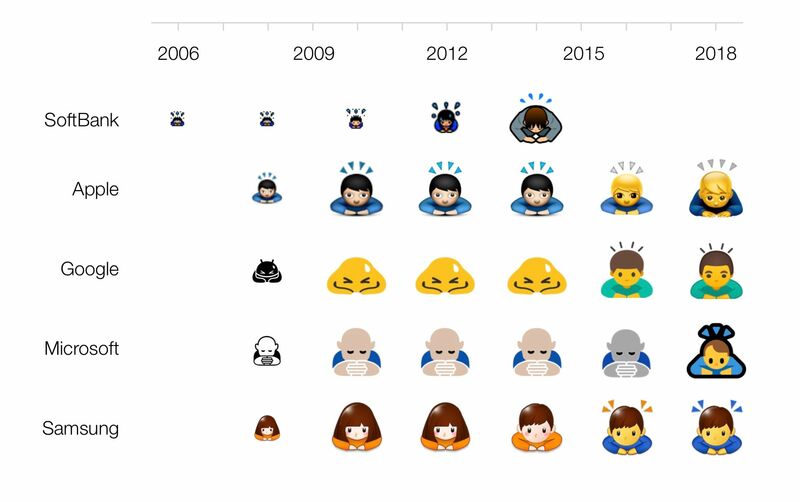 In recent years, we have been making efforts to ensure 'the missing years' of emoji releases from the late 1990s until 2013 - arguably some of the most important historically - are preserved in our archives. Last year we finished documenting emojis which originate in early versions of Windows, Android, and iPhone OS (as it was known when emoji support first came to iOS). Apple's emoji set turned 10 in 2018 and this was an opportune time to look back at how much had changed, and yet how familiar many designs remained. Above: An original iPhone with original emoji set next to a modern-day iPhone. Photos: Jeremy Burge. In the process of updating the Emojipedia archive to include Japanese emoji sets, it quickly became clear that there were gaps. The Unicode Consortium has long listed one version of Japan's emoji sets from each of the three major Japanese carriers - but being a standards body and not an emoji archive, it wasn't clear how many versions of each emoji set existed in Japan over these years. After speaking with others in this space, it quickly became clear that there were a large number of revisions to Japanese emoji sets that we hadn't even begun to document. While work to list other Japanese emoji sets on Emojipedia is ongoing, this article serves as a note regarding what appears to be solid evidence that SoftBank had the first emoji set. Above: The SoftBank 1997 emoji set which, contrary to previous reports, might have been the first. How can an entire internet get a fact like “who created emoji” so wrong? A few ways. Partly the issue relates to the time. The 1990s internet wasn't as hyper-focussed on software details, and mobile phones tended to run a weird assortment of mostly-terrible operating systems. Documenting changes would have been costly, and potentially of little interest when each model of phone might have a very different interface to the last. In fact, when Emojipedia launched in 2013, public interest in emoji updates remained minimal. It was only by 2014 and 2015 where public interest and awareness in emoji and how it relates to major tech companies increased. Above: Emojipedia's previous entries on SoftBank started in 2013, then 2006 (pictured), 1999, and now date back to 1997. When it comes to early Japanese emoji sets, there's also a language barrier, particularly for English-language websites covering what may have already been documented in Japan. Lastly, there's the issue of simplicity and narrative. People love a simple answer to a complex question, and pointing to one person – Shigetaka Kurita — who “created emoji” is simpler than referencing an evolution of obscure phone models with uncredited designers and engineers. 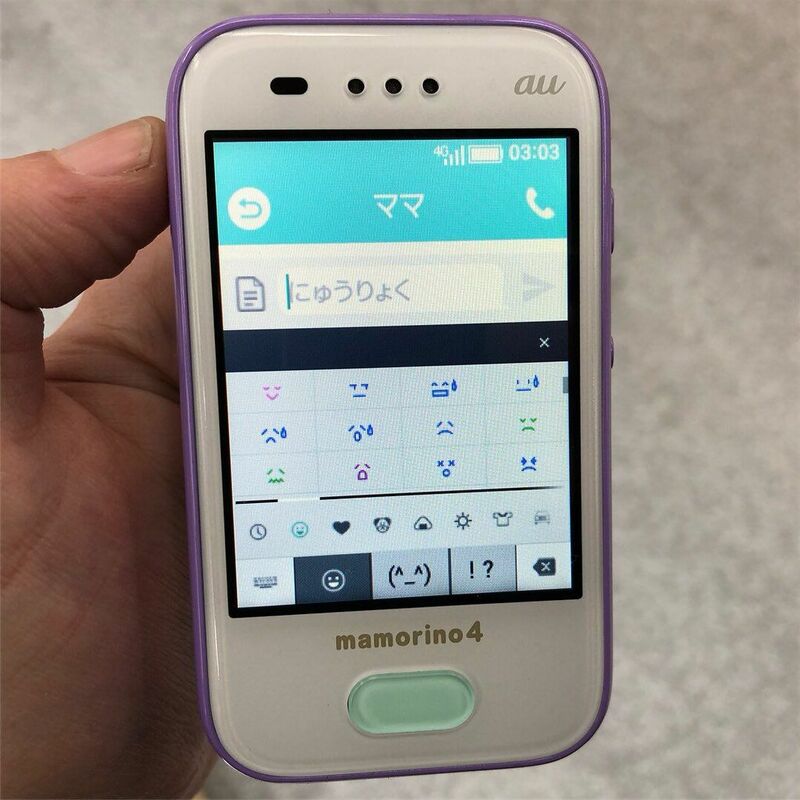 Above: A phone from au / KDDI showing an early Docomo emoji set. Photo: Jeremy Burge. None of this is to take away from the work of Kurita. Merely to correct the record, as we too, have cited this 1999 origin in the past. There's no doubt that the spread and popularity of emoji has many chapters, each with its own story to tell. As of 2019, we will begin correcting previous Emojipedia entries to reflect the fact that SoftBank, not Docomo, had the first emoji set in Japan. Above: Lineage of the SoftBank's original emoji set (1997) into Apple's current set (2018). Image: SkyWalker DP-211SW Manual / Apple Emoji designs / Emojipedia composite. Much credit for this correction should be given to Mariko Kosaka who highlighted the fact that the "original" emoji set from Docomo likely was not the first one, back at ffconf in Brighton in 2016. The emoji of a spouting whale can be clearly seen in an image of the DP-211 SW distributed by Pioneer for press notes. It is just a question of time that the designers of the Skywalker Emojis and the developers behind this innovative mobile phone ahead of its time receive a well-deserved recognition. Above: An early J-Phone model showing the emoji picker. Image: Sociallized. SoftBank, known as J-Phone at the time, released the SkyWalker DP-211SW with 90 distinct emoji characters in November 1997. Above: A software manual showing the 1997 emoji set in this picker interface. Thanks to the press release for the phone, we have a specific date that the first emoji set came to mobile phones: November 1, 1997. The drawback to this story? The DP-211SW didn't sell well, and the emojis weren't supported on any other J-Phone device. So unless you knew people with this exact phone, emoji was borderline pointless to you. Perhaps the heart emoji alone could be considered the first emoji; though as with all technological advancements, sometimes it's a challenge to determine exactly what constitutes the first of anything. Mariko Kosaka explained to Emojipedia that the entire i-mode implementation (effectively an 'early internet' for mobile phones in Japan) on Docomo included emoji support right from the start which gave it a much wider reach at the time than competing platforms. Looking back now, it's quite likely that while the SoftBank emoji set came ahead of Docomo, the common use of emoji may be more thanks to the work of Kurita and i-mode. Emoji sets in Japan were not standardized in any meaningful way, though some carriers did aim to provide the same emojis as other platforms. Above: 20 years of 💩. Image: Emojipedia composite. As Lauren Schwartzberg described in 2014, the work to standardize the emoji sets of Japan (and bring them to the rest of the world) was initiated by Google in their attempts to bring Gmail to Japan. What about Wingdings or Webdings? What makes an emoji an emoji anyway? In appearance, early emojis aren't much different to the Wingdings, Webdings or Zapf Dingbats fonts of the 1990s. The key difference with emoji characters was that they didn't require a separate font, and instead used 'spare' code points on what were primitive mobile devices of the day. Oh, and you could input them as easily as other text characters. You know how you used to receive the letter "J" instead of a smiley face in emails from Outlook users? That's the difference between emoji and Wingdings: emoji can be sent in plain text amongst other writing, and still appear intact, while Wingdings relied on sending a letter of the alphabet and using a font to switch how it displays. Above: Webdings relied upon changing fonts to map ASCII characters to other pictograms which breaks when the correct font isn't selected. It might seem an obscure difference (even moreso now that most Webdings characters have unique code points within Unicode - see 🕴️ Man in Suit Levitating and the article from Joe Veix on its origin), but this is a key detail that allowed the spread of emoji on mobile in a way that mapping letters to pictures using fonts could never do. The other fundamental difference is culture. So many of the emoji characters we use today directly originate from those in Japan, and while there are parallels with some Webdings characters, the origin of the modern emoji keyboard unmistakably lies with Japanese phone carriers. Why are there so many trains on the modern emoji keyboard? Japan. 💩 Pile of Poo? Japan. 🍡 Dango? Japan. 🏩 Love Hotel? You get the idea. This set of emoji images now archived on Emojipedia didn't come out of thin air. 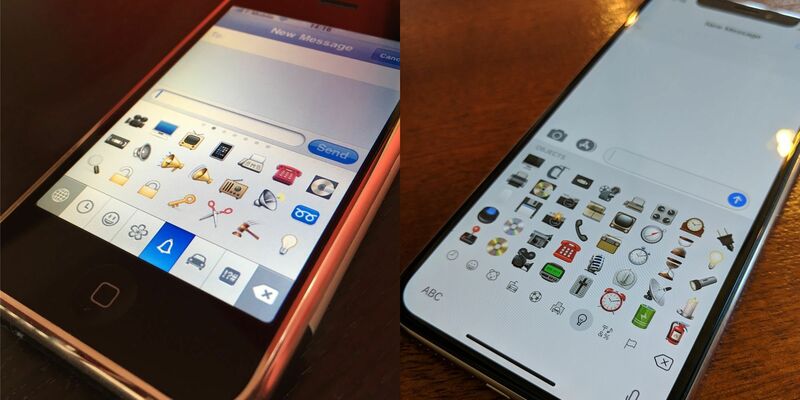 In addition to the aforementioned article on Socializzed in 2017, credit must go to vXBaKeRXv, an emoji enthusiast and jailbreak developer of iOS devices, who tracked down a paper manual used as the source of these images. This manual clearly shows all emoji images, which made a pixel-for-pixel reproduction possible. Above: Emojis in the SkyWalker DP-211SW manual. Thanks to vXBaKeRXv and Matt Alt for their work to bring these images to light. 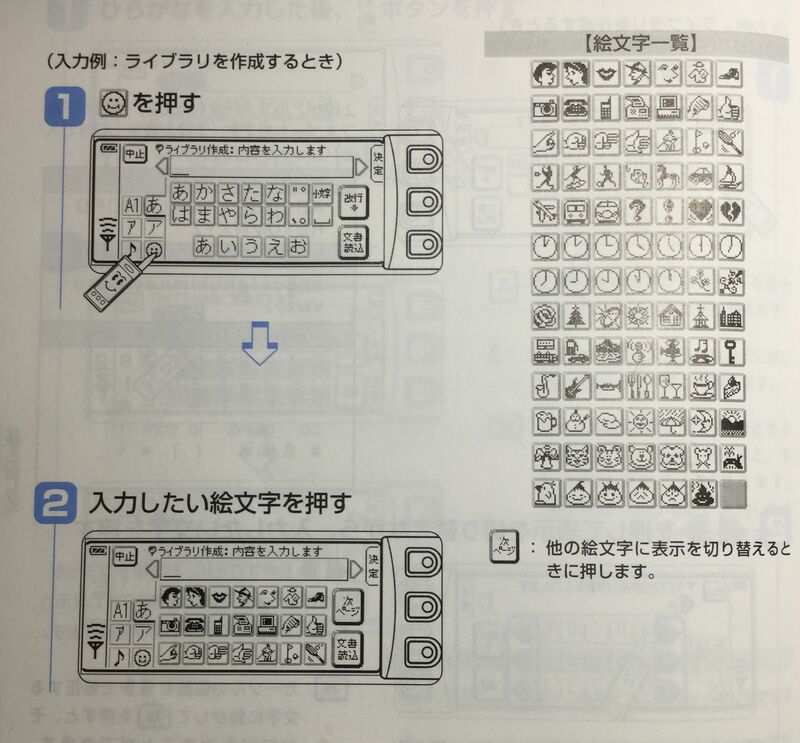 This manual was purchased by Matt Alt, author and also known for converting Japanese games for English audiences, and the pixel-art emoji images shown here were recreated by vXBaKeRXv for archival on Emojipedia. Matt Alt also has a book covering many aspects of emoji origins in Japan. 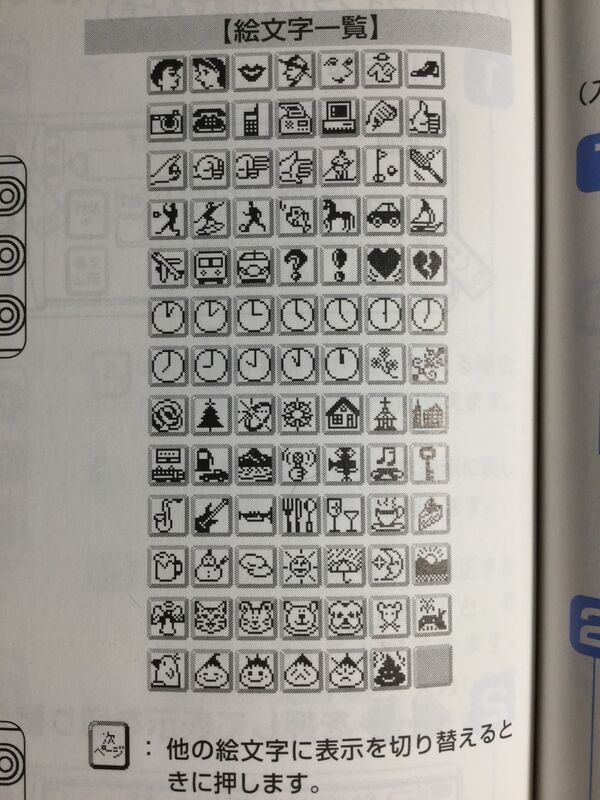 While our previous statements indicated that SoftBank's 1999 emoji set was the first from the company (with 263 animated emoji images), this set of 90 is a clear predecessor and having these images preserved for future generations is to the credit of all involved. Is it possible that there is an even earlier undocumented emoji set from Docomo? Perhaps. Some of those first hearts from the pagers are likely worth a listing. You might notice some weasel words in this article about SoftBank having the first emoji set, but we don't want to make the same mistake twice. While working to bring all the historical emoji sets to light, who knows what else will be discovered along the way. For now, let's just say that this is the first emoji set that we're aware of, and we'll check back in should that change. Above: A modern version of the SoftBank emoji set in 2014 prior to discontinuation. Photo: Jeremy Burge.